This page is devoted to Kaz's campaigning activities, as they're reported across the web. 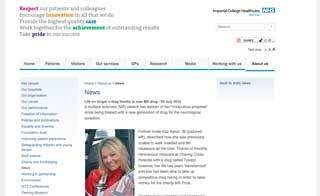 If you'd like to feature Kaz's work for MS on your website, please get in touch! 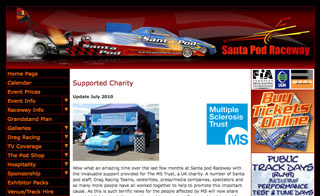 London's daily paper picks up on my campaign to raise awareness of MS.
Santa Pod Raceway, the European home of drag racing, names The MS Trust as its sponsored charity. 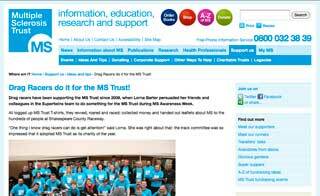 Here's the MS Trust's take on the same great story. Drag racers do it for the MS Trust! 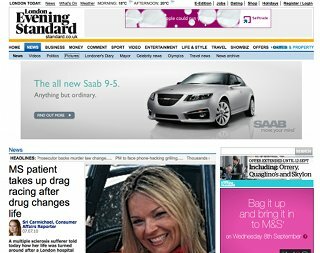 "They revved, roared and raced; collected money and handed out leaflets about MS to the hundreds of people at Shakespeare County Raceway..."
Kaz speaks about her "miraculous progress" since being treated with a new generation of drug for the MS - Tysabri.